I had an overnighter tuesday night on the contender and we could not have had better weather. We cruised on out at 41 mph and set up for some good fishing. The evening bite was a little slow so we put out a spread of small lures to catch some blackfin for the night chum bite which was as on as it ever is. 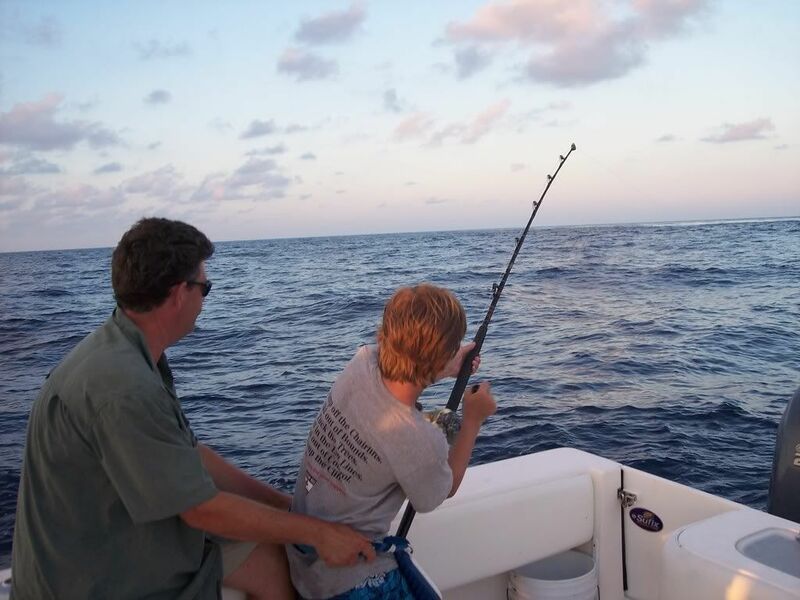 The current was horrible so we could only chum up one fish per drift which isnt bad because we hooked up at least one fish every drift for 3 straight hours. We lost a couple of course but we caught more then enough. 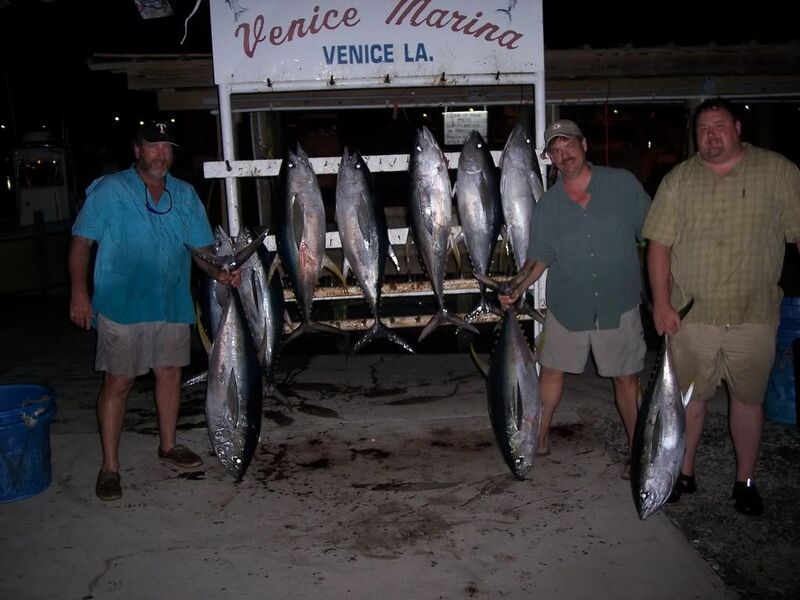 We were using 5/0 frenzy hooks on 50 and 80 pound leader with small chunks of blackfin. Since the current was so bad we had to start our drifts a 1/4 mile in front the rig which is not normal for my night fishing. We also managed to pick up two fish on frenzy popppers and lost another one or two. 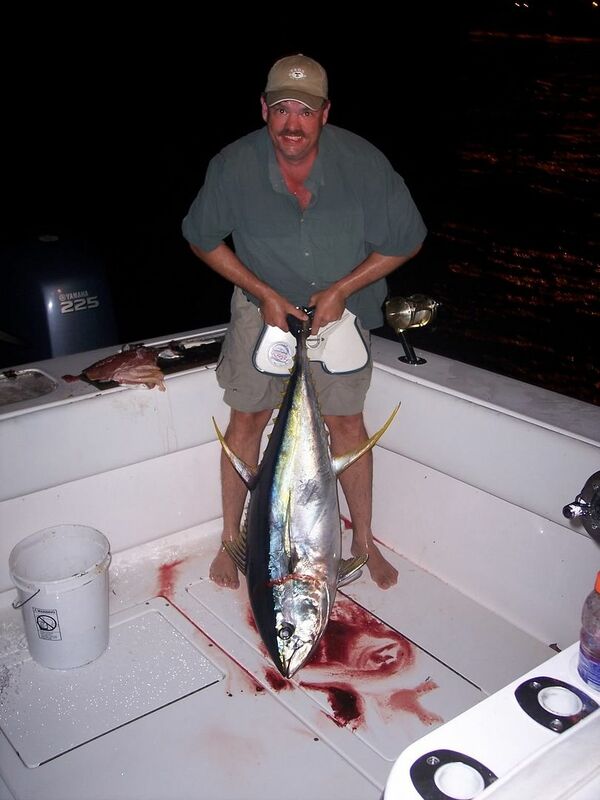 We ended up the evening around midnight with eleven yellowfin and were back at the dock for 3:30.